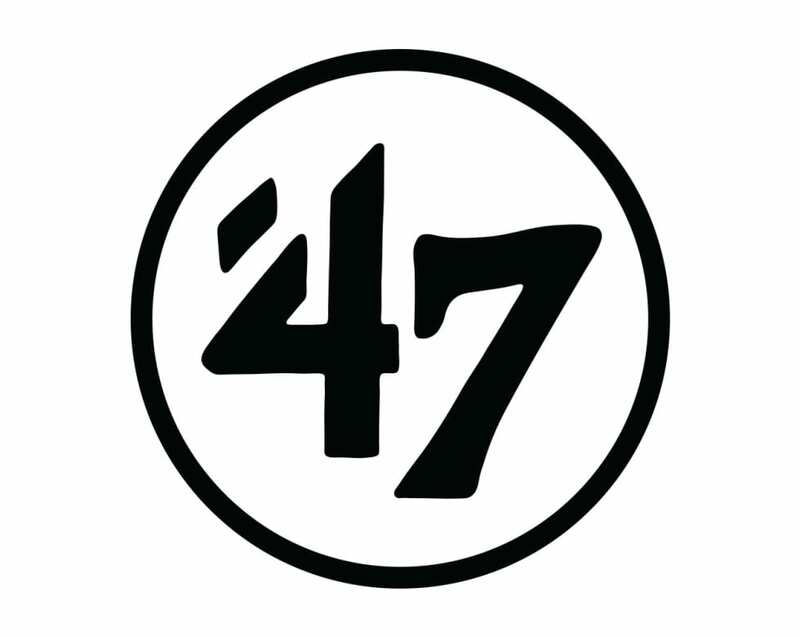 '47 is a global sports lifestyle brand founded in Boston, MA, by twin brothers, Arthur and Henry D'Angelo in 1947. The D'Angelos were entrepreneurial pioneers who were quick to see the future of sports licensing by selling pennants and other sports memorabilia on the streets around Fenway Park. Through a combination of hard work, sound instincts and incredible passion, the brothers were able to grow their business from a single street cart to a premier sports lifestyle brand that uniquely melds sport and style. '47 is a proud partner of Major League Baseball, the National Football League, the National Hockey League, the National Basketball Association and over 900 collegiate programs.